An identity for an ameteur dramatics group with the commonality being they were all employees of Blackwell’s book shop. Blackwell Player’s first production. 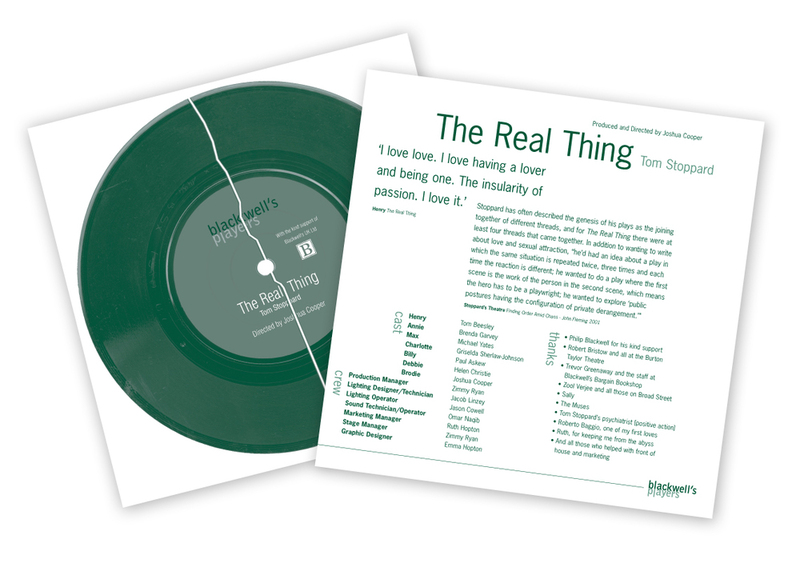 Tom Stoppard’s play, The Real Thing, contains two themes combined in the programme cover, the selection of records for Desert Island Disks and relationship break-ups.